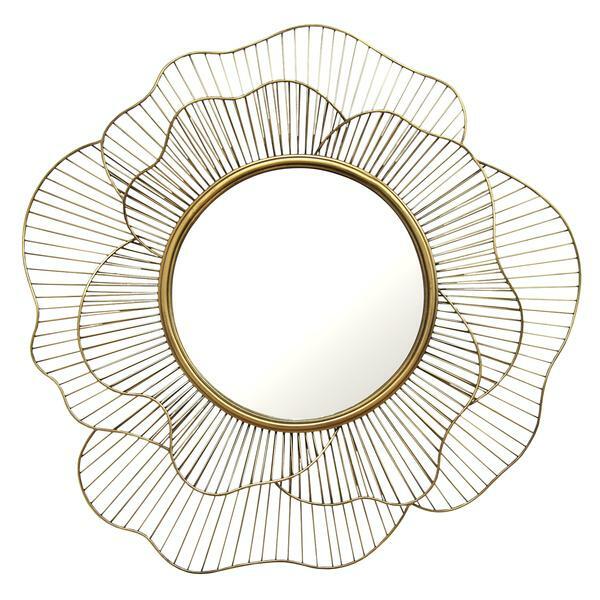 Wonderful contemporary metal mirror. Use alone or in a group, makes the perfect focal point for any design. Hand painted gold finish. Customizable for larger orders.